Product prices and availability are accurate as of 2019-04-18 15:09:07 UTC and are subject to change. Any price and availability information displayed on http://www.amazon.com/ at the time of purchase will apply to the purchase of this product. Welcome to our store, we're a professional manufacturer and seller of prom dress, evening dress, wedding dress, party dress and bridesmaid dress. 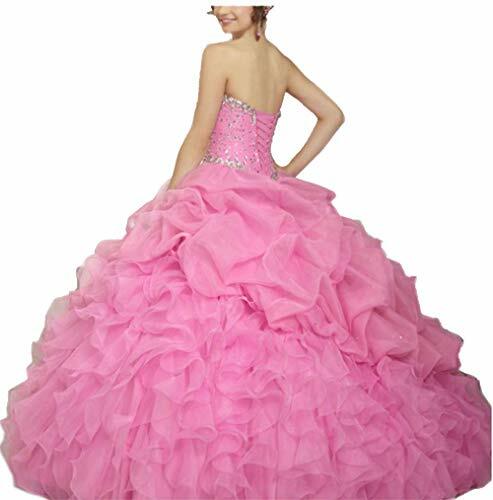 We offer high quality dresses to our customers. 3.Send me your exact measurements after place the order,so that we can customize the dress for you to make sure fit well. 4.If you have any question about how to measure your size. please contact us freely. and we are always at your service. 1.If you are unsatisfied,please return it within 10 days after receiving it,and products should be the original condtion even after tried on for fit and size. 2.To get refund asap,please send us RETURN RECEIPT or TRACKING NUMBER immediately after your return. 3.Buyer pay the return or exchange postage. 4.Custom can't accept return or exchanges. 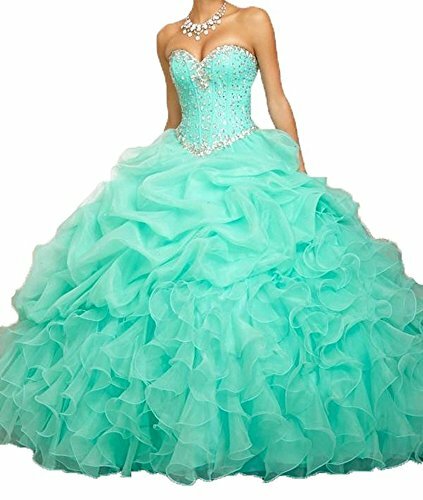 Material: Imported Organza With Off Shoulder Beaded Crystal Long Ball Gown Prom Dress Built-in bra, Lace Up Back Design Color may be lighter or darker due to the different PC display. 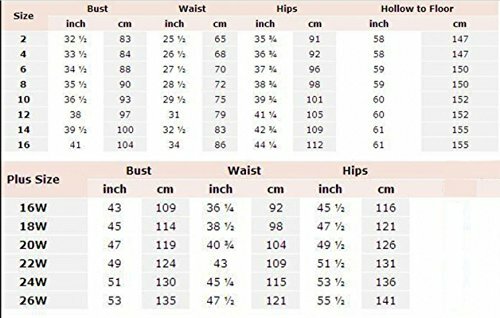 Please Use our left size chart, not use Amazon's "Size Chart". Custom made size and color are all available without any other extra fee. 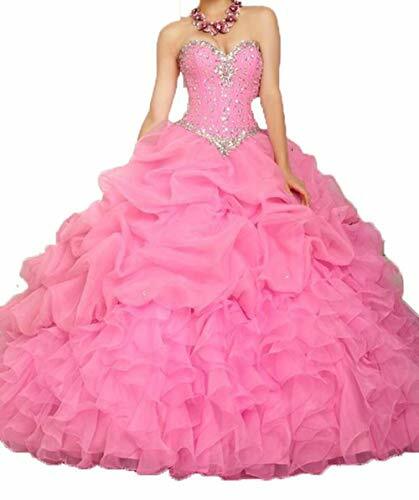 Start with this princess and beautiful long dress which can be used as prom dress,sweet 15/16 dress, homecoming dress, bridesmaid dress, wedding party dress, evening dress, birthday party dress, wedding guest dress, or formal party dress, and you will assemble an exceptional ensemble every time and make a lasting impression!